The 62-year-old former Kingfisher Airlines boss extradition has been ordered by UK Home Secretary Sajid Javid. Notably, the 62-year-old former Kingfisher Airlines boss extradition has been ordered by UK Home Secretary Sajid Javid. Mallya, who has been on bail in the UK on an extradition warrant since his arrest in April last year, is fighting extradition to India on charges of fraud and money laundering allegedly amounting to around Rs 9,000 crores. Days ago, a special Mumbai court declared Mallya a fugitive economic offender (FEO) on a plea of the Enforcement Directorate. Mallya became the first businessman to be declared EFO under the provisions of the new Fugitive Economic Offenders Act which came into existence in August last year. Mallya, accused of defaulting on loan repayments and money laundering, had left India in March 2016. The UK court had said it was satisfied with the various assurances provided by the Indian government, including a video of the jail cell, which had not only been recently redecorated but was also far larger than the minimum required threshold. The Lok Sabha on Thursday took up the motion of thanks on the Presidential address to the joint session of Parliament on the first day of the Budget Session. President Ram Nath Kovind had addressed the joint session of the Parliament on January 31. He had heaped praise on the Modi government for its work done in over the last four years. 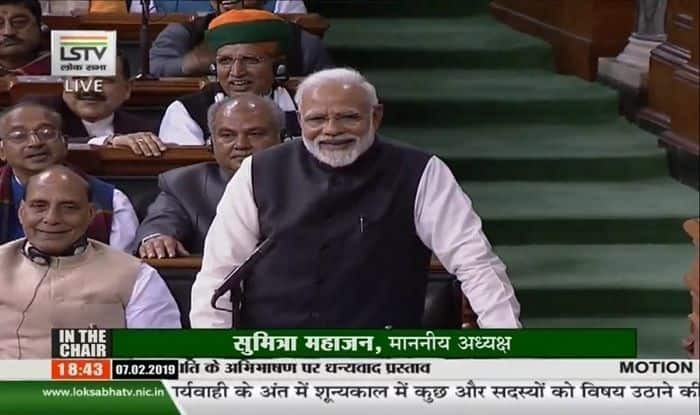 Speaking on the floor of the house, Leader of Opposition Mallikarjun Kharge said that the Presidential address resonated the words of the Prime Minister.